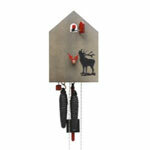 Traditional Black Forest cuckoo clocks have had younger siblings for several years now: modern cuckoo clocks. 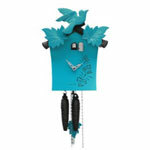 They are a combination of Black Forest artisanal clock-making and modern design. 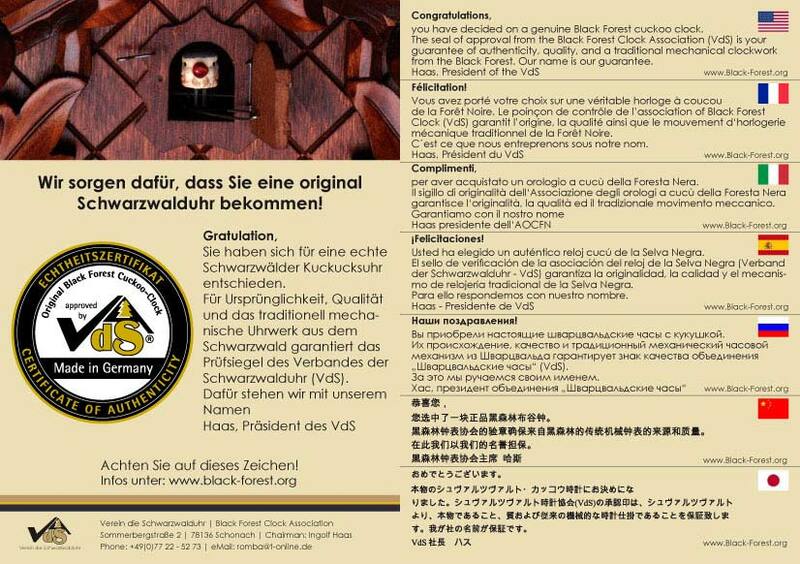 The idea that a Black Forest cuckoo clock could also look very different than we are used to comes from Black Forest clockmaker Rombach & Haas. 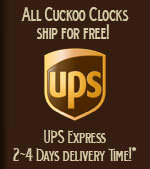 This idea developed into an entire range of unusual designer cuckoo clocks, which have become a great success. 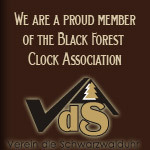 Clear shapes define the designs of this young generation of Black Forest clocks. Stylized birdhouses, grandfather clocks shaped like a pyramid, two-dimensional facades instead of a closed clock case, different versions of a cube – the designs achieve a maximum effect with refined minimalism. This diverse collection includes natural wood with a lovely grain, just as it includes cuckoo clocks in white, black or pink. You can even find details in flashy neon. These modern clocks deliberately implement sleekness and understatement; at the same time they draw on the richness of cuckoo clock tradition in a stylistically confident manner. 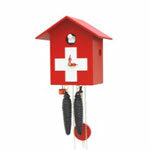 Individual details of traditional cuckoo clocks are taken up and playfully set in a new context. Colored opaque lacquer gives the classic carvings using leaves and birds a completely new look. 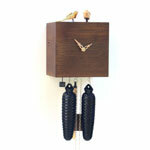 In the “free bird” series, the cuckoo has even left its conventional place behind a little door, and has settled down in a visible place on the clock case. Not only the design is new; Rombach & Haas is also taking new paths in its choice of materials. The modern clocks include clock cases made of bamboo, among other things. 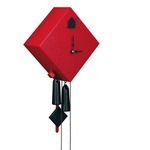 The modern cuckoo clocks can be excellently combined with many different types of décor and provide a unique focus in the home. They are just the right thing for people who prefer something special.